CL: What are some of the lessons that you’ve learned in football that you’ve been able to carry into your personal and professional life? DA: From the very beginning, I learned never to quit, no matter what. Don’t give up. Keep struggling; keep fighting. And I think what really helped me out is that I was drafted in the 17th round, the last round, in the NFL draft. They were going to cut me, but I just kept hanging in there, and it ended up paying off. When you’re out here in the spiritual warfare that’s going on now, like the right-to-life people, you just need to keep fighting and keep plugging and never quit. Coach Vince Lombardi once said, “Fatigue makes cowards of us all.” When we get tired, our natural tendency is to give up or quit, whereas if we’re guided by the Lord, well, He’s the greatest example for us. Keep moving. Perseverance is tied into that. CL: From your career in football, are there one or two memories that are constantly coming back to you? DA: I came with the Saints in 1967, which was their first year in existence, and I was on the kickoff return team. The first time they ever touched a football in the NFL in a crowd of 85,000, we returned it all the way for a touchdown. John Gilliam returned it. Also, I think a lot of people remember the football follies—the guy running into the TV camera—I was the guy who did that. CL: Danny, you’re recognized in the Church, in a Catholic men’s movement. How has God been able to use you in that capacity as a man, as a father and a husband, and as a leader in the Church? DA: The Lord spoke to me years ago. The Lord sort of said, “You know, I want you to deal with men.” And I can see why. I think guys can relate to the idea of playing sports, playing in the NFL and coaching when I start talking about my faith. They might listen a little bit longer, and think, “Well, let’s go find out what this guy has to say. He was a football player. How’s he doing this ‘faith’ thing?” I think there is an advantage to using football analogies when I’m trying to make a spiritual point. In fact, I recently came out with a book called Spiritual Workout of a Former Saint. CL: That’s a great title! DA: Yeah. It uses sports analogies, like “Jog to Mass,” “Stretch out in prayers,” “Lift up others,” or you know, “Run away from temptation.” I’m a big believer that we must get our men back. It’s about men and spirituality, and men being the spiritual head of the family. We’re already in a struggle, but we’re going to be in an even bigger struggle until we get men back. There’s the idea that a person that deals in the spiritual realm is weak; the Devil’s done a good job of putting that lie out there. I’ve been in AA since 1981, and when I was coming out of bars, well, that’s not a man to me. A man is the one that gets his family and tries to go to church, or that single young man who comes home from college and goes to Mass on Sundays, or a young person who gets up and prays his rosaries—that is a man to me. Not someone out here chasing broads, smoking, drinking and all that kind of stuff. I’m a firm believer, also, that men need to stay in shape. I stay in shape for the Lord. I think you have to be a physical person, you know, to take care of your physical well-being, as well as our mental and spiritual being. The way I see it, people are not in awe of God. You know, both men and women. If they were in awe of God, they wouldn’t be having abortions. Because that’s really not their choice; it’s God’s choice. He’s the one deciding whether the person’s going to be pregnant or not, and you’re going to make the choice to end it? I don’t think so. CL: Many Catholics don’t know we’re struggling in the Church. What would you say to the Catholic on the street who says, “Well, you know, I read this in the paper, I see that on TV, and I don’t know. Is it worth it?” What do you say to the Catholic who loves his Church but sees all the garbage going on? DA: When things are sailing along great, it’s easier to handle than when life gets a little tough. And the biggest thing is, who founded this Church? This Church was founded by Jesus Christ! That doesn’t mean to say there aren’t going to be any struggles. Like I say in my book, the Lord has His “personal trainer”—the Holy Spirit—with Him, who went out with Him into the desert. And in our life we have to bring the personal trainer—the Holy Spirit—with us. I think a lot of these people who are struggling through this time have lost sight of the power of the Holy Spirit in their life, the power of prayer, because some of the answers to some of these situations are found in prayer. But you need to establish your prayer life, and there are going to be times where there is struggling. CL: When you look at abortion, when you look at euthanasia (we touched upon this earlier), it seems like there are fires popping up everywhere. Do you think the pro-life movement is on track? Do you think we’re focused enough? DA: I think in a sense we’re dedicated; we want to do it. Always, I think, we need more prayer, especially in adoration chapels where we can spend quiet time and find guidance. In the pro-life movement, I think we can collaborate better together. I think we’re too diversified out in these other areas; we’re spreading ourselves too thin. I think we need to become a little leaner and meaner. And then pray and pinpoint particular fights, when and where to really do the fighting. I think pro-lifers are working hard in the area of the political arena. That’s so critical. In the end, however, we must rely on God. Whenever I rely solely on myself, I run into trouble. If I use my talents and my capabilities with the power of the Holy Spirit, it’s amazing what happens. But I have to listen, and I have to be open to the workings of the Holy Spirit in my life. 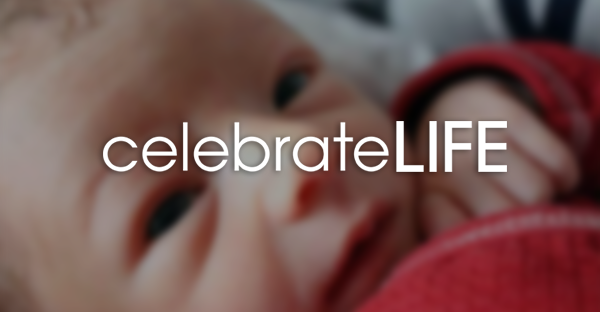 Danny Abromowitz is a retired NFL football player and active pro-lifer. He has recently published a book called Spiritual Workout of a Former Saint.